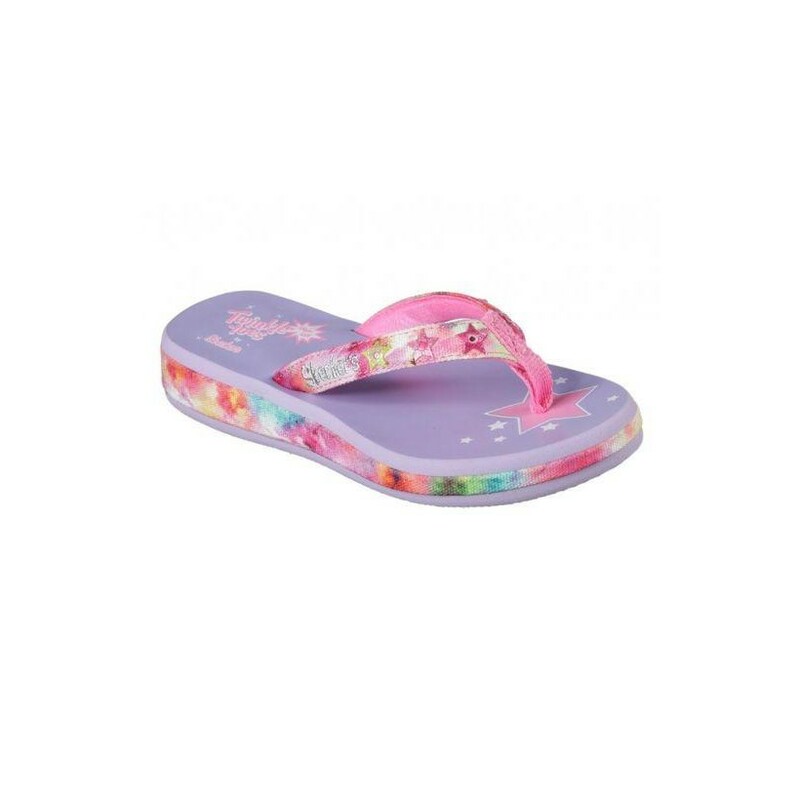 Warm weather days and starry nights were made for the SKECHERS Twinkle Toes: Sunshines - Hippie Skippie sandal. Warm weather days and starry nights were made for the SKECHERS Twinkle Toes: Sunshines - Hippie Skippie sandal. 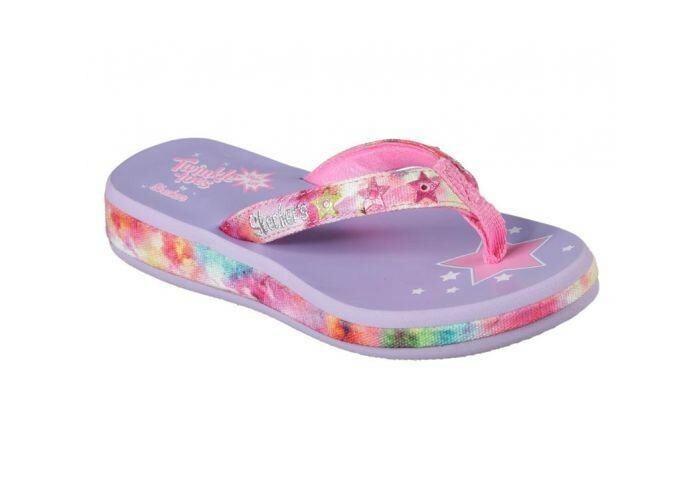 Soft glitter finish fabric upper in a flip flop casual thong sandal with light up star detail and comfort sole.